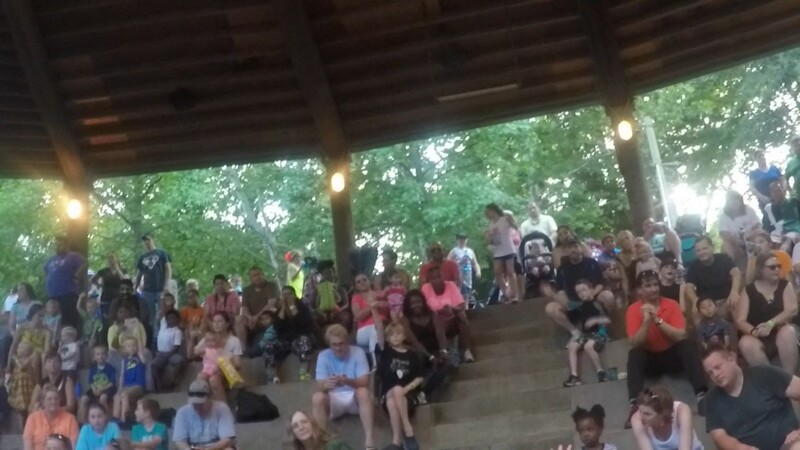 Last Friday night I did a performance at Nashville Zoo and it was a wonderful night. I recently got a GoPro camera. I got so I could easily video live magic performances. I plan to use it two ways: to put on my head when I am performing and get a shot of my hands and the audience so you can watch magic from my viewpoint AND occasionally have an audience member wear it on their head to see it from their viewpoint. 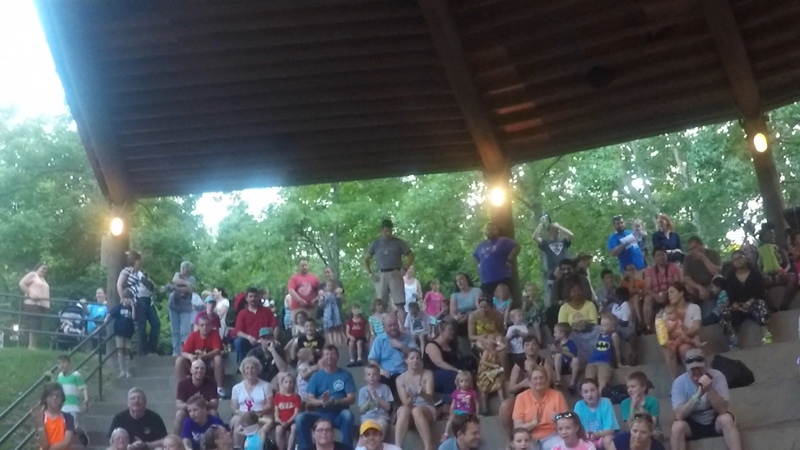 I tried filming from my point of view last Friday night at the Zoo. Unfortunately I had the angle of the camera too high so I did not get any shots of my hands but the shot came out totally of the audience. I will continue to work on finding the perfect angle so I get a shot of my hands next time. So instead of posting that video I am posting some still shots from that video. 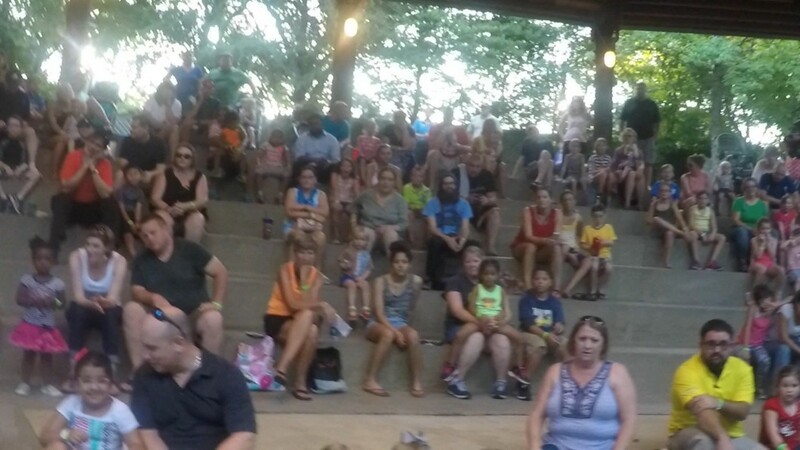 Were you at the show at the Zoo last Friday night? If so maybe you can find yourself in one of these photos. Please leave a comment and let me know if you were there. Photo 2, they are watching close! If I did not get the section you were sitting in, let me know in a comment and I will be sure to include that shot next week. 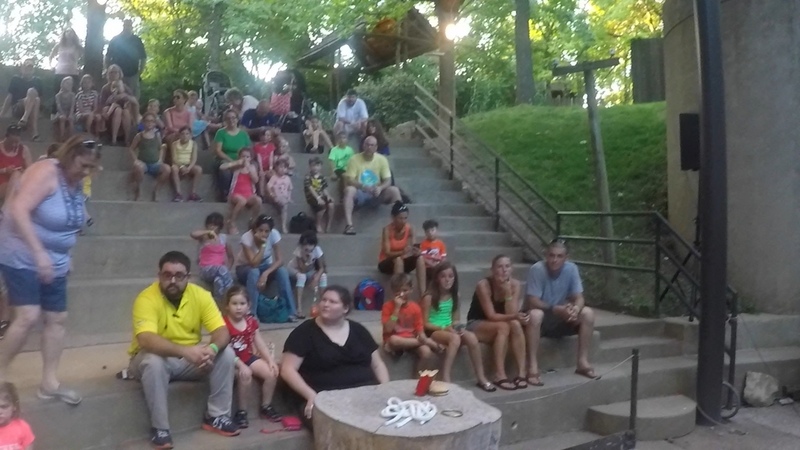 For the video this week I am including a video of some close-up magic I performed at Mellow Mushroom in Franklin, TN. 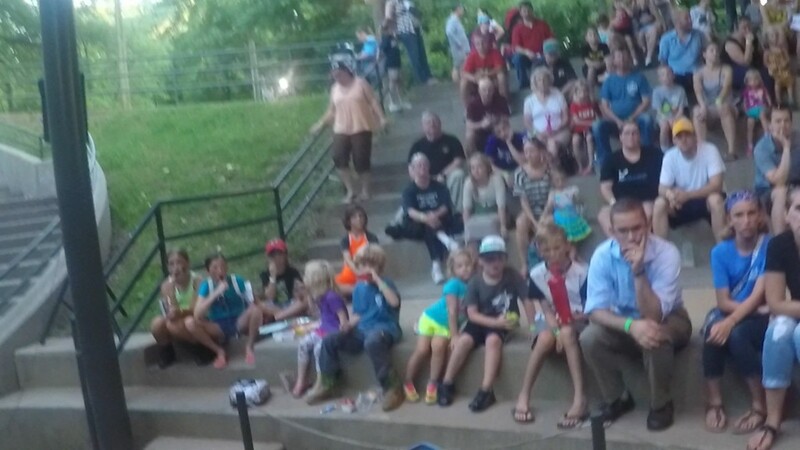 I perform close-up magic there every Saturday night 6PM to 8PM unless I am booked for a private party. 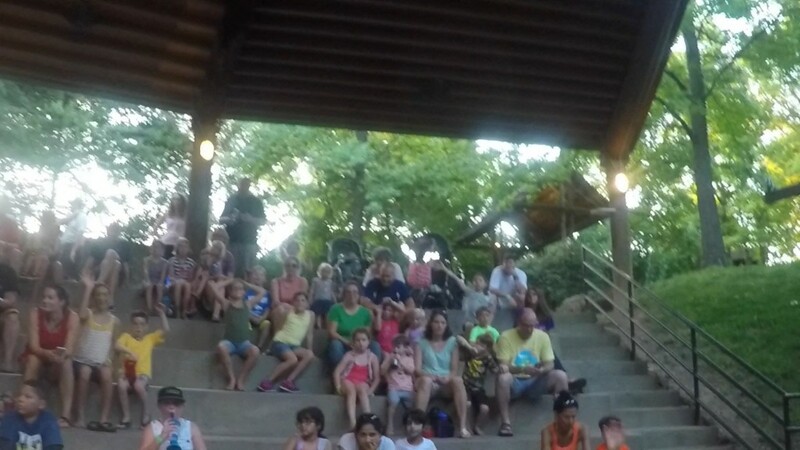 The entertainment is right there at your group or at your table, no one has a bad seat! You really must experience close-up magic at a restaurant. When it is at a restaurant the magic truly is “close-up” as opposed to seeing it on a stage as close-up magic is sometimes presented.